While the CDC, the media, and most of the residents of the lower 48 states wait to see how much of an impact the Zika virus will have this summer in the U.S., it is worth noting that last summer - during just a moderately active year - we saw more than 1,300 hospitalizations and 119 deaths from the West Nile Virus. 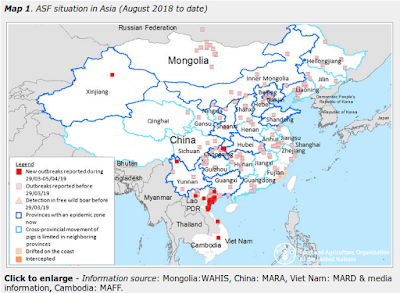 While only about 20% of the people who are infected with WNV develop symptoms – and most only experience a mild flu-like illness (and are therefore rarely counted) – a very small percentage go on to develop a more severe, and sometimes deadly, `neuroinvasive’ form of WNV. As of January 12, 2016, a total of 48 states and the District of Columbia have reported West Nile virus infections in people, birds, or mosquitoes in 2015. Overall, 2,060 cases of West Nile virus disease in people have been reported to CDC. Of these, 1,360 (66%) were classified as neuroinvasive disease (such as meningitis or encephalitis) and 700 (34%) were classified as non-neuroinvasive disease. A total of 5,674 cases of West Nile virus disease in people, including 286 deaths, were reported to CDC. Of these, 2,873 (51%) were classified as neuroinvasive disease (such as meningitis or encephalitis) and 2,801 (49%) were classified as non-neuroinvasive disease. On top of that, each year we usually see a smattering of EEE (Eastern Equine Encephalitis) cases, along with some La Crosse virus (LACV), Jamestown Canyon virus (JCV) and St. Louis Encephalitis (STLV) infections. Small outbreaks of Dengue and Chikungunya are even possible. And we haven't even touched on the tick borne infections, like Lyme Disease, which the CDC estimates may affect as many as 300,000 Americans every year. To this growing rogues gallery, we recently added Borrelia mayonii, which has recently been discovered to be causing a Lyme-like illness in Minnesota and Wisconsin (see CDC: New Lyme-Disease-Causing Bacteria Species Discovered). To this Florida boy who spent a lot of time in the woods camping and hiking (often without repellents) - and who saw nary a tick or chigger bite in all those years (mosquitoes, yes) - all of this seems a bit surreal. Although it seems counter-intuitive, in our increasingly urbanized and modernized society the threat of vector-borne diseases has grown greater over the past couple of decades, as has our need to take steps to prevent them. With summer-like weather either here or on the way, now is the time to consider how you will protect yourself and your family members from these vector borne threats. 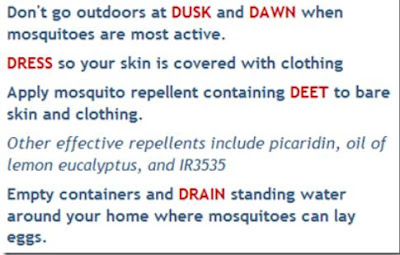 For mosquitoes, health departments advise you follow the 5 D's. Use repellents that contain 20 to 30% DEET (N, N-diethyl-m-toluamide) on exposed skin and clothing for protection that lasts up to several hours. Always follow product instructions. Parents should apply this product to their children, avoiding hands, eyes, and mouth. Other repellents registered by the Environmental Protection Agency (EPA). 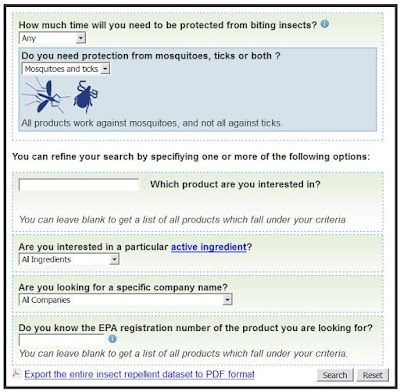 To help you decide on a repellent, the EPA has created an interactive insect repellent search engine that will allow you to input your needs and it will spit out the best ones for you to use. While the old school vector borne illnesses like Lyme Disease, Ehrlichiosis, or WNV may not inspire the same kind of fear and media coverage as Zika, they are nothing to take lightly, and in many cases can be avoided by taking a few simple precautions. While Zika will likely get star billing, we'll be following all of these vector borne diseases all summer long in AFD.